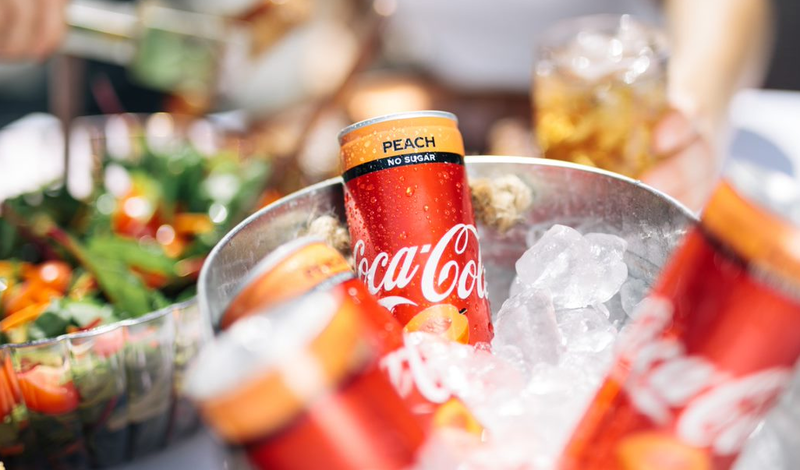 Coca-Cola has launched a new limited edition flavour, Coca-Cola Peach No Sugar. Coca-Cola Australia has today announced the launch of a new limited-edition flavour, Coca-Cola Peach No Sugar. If you’re ‘peachy-keen’ for the delicious taste of Coca-Cola but with a special twist, you’re in luck! Coca-Cola Peach No Sugar offers Australians an exciting and refreshing new flavour that will be a great addition to pool parties, BBQs and beach days. The cheeky limited-edition is bursting with smooth, fruity flavours and will leave you refreshed and revitalised in the soaring summer sun. Lucie Austin, Marketing Director Coca-Cola Australia said: “We can’t wait to offer this fruity new Peach flavour to fans who are looking for something new to try. Coca-Cola Peach No Sugar follows the success of Coke’s recent flavour innovations in Australia, including Coca-Cola Raspberry, Coca-Cola Plus Coffee No Sugar and Coca-Cola Orange No Sugar. Coca-Cola Peach No Sugar is available nationally at selected retailers now. Gees I wish my Coke tasted like peaches.